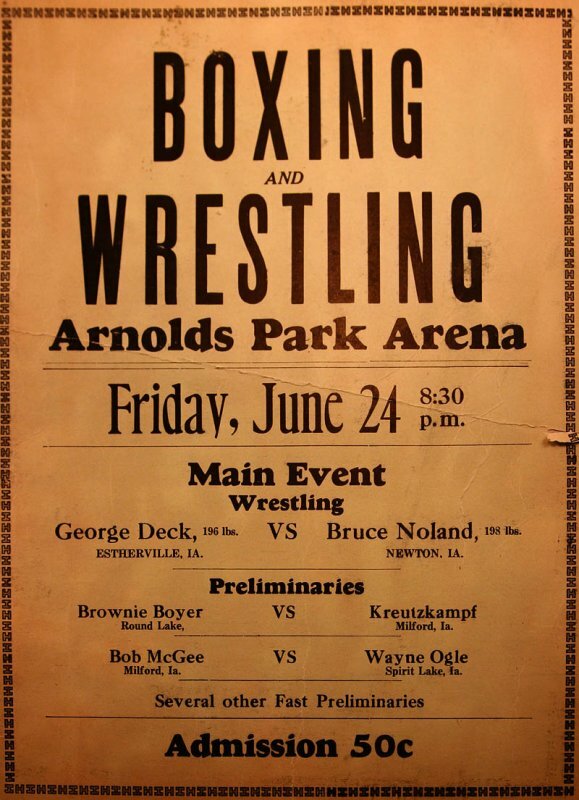 My grandfather, Francis Brady, lost a boxing match to Wayne Ogle a few weeks later- on July 13th, 1932. Grandpa was known to have a "long, left jab." It's great to see a flyer from the era.